‘Teen Mom 2’ has shown some of the worst moments of Jenelle’s relationship with Nathan Griffith. We saw Nathan verbally and emotionally abuse Jenelle when he told her she should get an abortion just minutes after hearing their unborn child’s heartbeat. We also saw a conversation Jenelle had with her mother in which she says Nathan “choked her out.” Later on a video surfaced online of an unpleasant argument between the 2 of them, in which Nathan was screaming at Jenelle. Their fighting also resulted in Jenelle being arrested at one point during her pregnancy because it became a disturbance to the neighborhood. 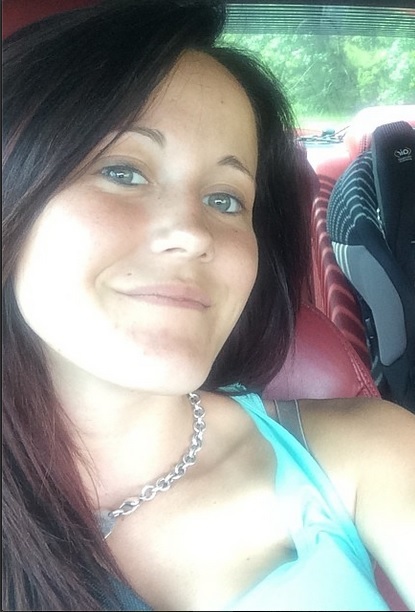 Jenelle also told the site “I mean, we’ve had rough patches in the past, of course, but you know we’re past them now. I just think we just understand that we want a future together. My other exes — I think they’re just too immature and wanting to party so much. They just didn’t want to settle down, and Nathan does.” What do you think of Jenelle’s statements? Do you think she’s living in denial? Or do you think these two really have worked past their major issues? Either way their baby is due next month! Next Next post: Maci Bookout and Boyfriend Taylor Take a Big Step!